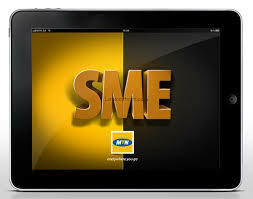 Now you can share your data plan with friends & loved ones, wherever they may be on the MTN network. * Activate an applicable data plan from the table below. * You are required to change the system generated PIN to a new PIN they can easily remember by dialing *131*2*5# or by texting Change OLD_PIN NEW_PIN NEW_PIN to 131. E.g Change 0000 1234 1234 to 131. Where 0000 is old PIN and 1234 is your new PIN. * After changing the PIN, you are required to add beneficiaries to your MTN Shared Data Bundle account via USSD menu *131*2*2# or by texting Add <MSISDN> <PIN> to 131. You can add up to 5 beneficiaries. * Once you have added beneficiaries, you (the sponsor) will be able to share your available data bundle among the added beneficiaries by sending the keyword Share <PIN> to 131 or simply dial USSD code *131*2*3#. N.B: You don’t have to doubt if this is real or not….Just get it and try it out. If it doesn’t works as stated above and more….or if you don’t absolutely love it and have more fun using cheap data…just let us know through the comment section. But if it works great, why not share with others.